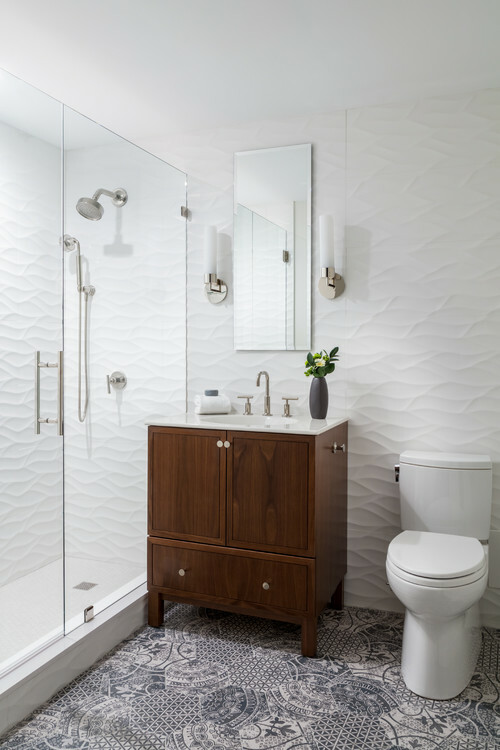 3D tiling can create bathroom walls that tesselate like geometrics, flow like ocean waves, and shimmer like multifaceted gems. They add new dimensions to your walls and invite guests to run their hands along their varied surface. But beautiful and intricate design often comes with difficult installation and upkeep. Are 3D tile walls the right choice for your bathroom renovation? Here are some pros and cons that come with this new bathroom remodeling trend. Pro: They’re high design. 3D tiling makes an automatic impact. For this reason, many bathrooms featuring them have minimal, modern design. Even a touch of 3D tiling can quickly upgrade your bathroom’s design. Con: They may be difficult to clean. The three-dimensionality of these tiles is the source of their unique beauty and special cleaning needs. While some 3D tiles are simple in design, others have multiple nooks, crannies, and cracks that may prove difficult to clean without leaving some soap scum behind. Pro: They add texture to your walls. 3D tiles add texture and interest to your walls, even in subtle whites and neutrals. Glazed tiles may also add iridescence and changing colors in your bathroom as the light changes throughout the day. Con: They may be difficult to match at the corners. Complex tile designs may be difficult to match as they move from wall to wall. And sometimes, they can overwhelm smaller bathrooms with too much pattern work. Pro: They make for a great accent wall. Paired with a standalone tub, this accent wall is all this bathroom needs to feel beautifully complete. Even a touch of tiling inside the shower can transform your space. Con: They may make it harder to install other things – like niches, hardware, and piping. There may be a reason why 3D tiling is often featured on accent walls. Depending on the type, 3D tiles may make it more difficult for your installer to insert niches, hardware, and necessary piping through the walls behind them. Pro: With professional designers and installers, nearly anything is possible! The best part of working with a team of professional designers and installers is you can dream big with your tiles, and we’ll help make it happen. 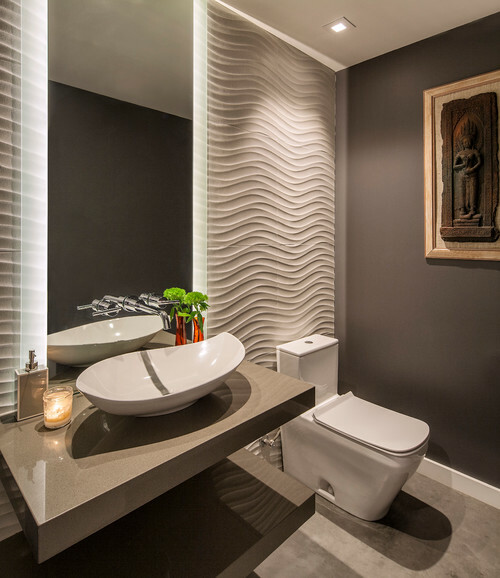 Looking to reinvigorate your bathroom design? Contact us at Crystal Bath & Shower Company to get started.